With the Pitt Report and its findings at the forefront of Government policy on flooding after the summer 2007 flood events, Utility Companies have been asked to address their own flooding problems. Pitt recommended that the Utility Sector needed to be able to cope with extreme flood events like the ones we saw over the summer of 2007. 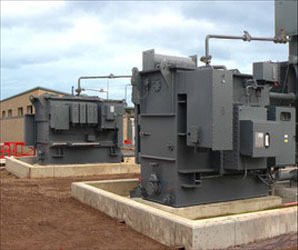 It is also evident that due to the nature of utility businesses, they are seen as vital infrastructure. The continuous supply of utilities such as electricity, gas, drinking water and Sewage disposal are vital to keep the nation running during times of flood and in 2007 the floods exposed that a vast number of these sites are inadequately protected from flood. The report places the emphasis on utility resistance and resilience, meaning that in the first place utility companies should do all they can to prevent loss of service due to flooding where practicable. But when and if service sites do flood they should be able to be bought back on line i.e. operational in the shortest time possible. Floodguards is currently going through the process of achieving Achilles UVDB registration and has extensive experience in protecting vital infrastructure sites. We have worked in sensitive and restricted MoD sites of National Strategic Importance, protecting the entire site against flooding. We have the ability to help utility companies at the earliest stages of planning and project manage any scheme they may wish to put in place to mitigate against the worst effects of flooding. We offer three streams of protection and advice. These can be categorised as Short Term Solutions, Medium Term Solutions and Long Term Solutions. Short term solutions would include the use of floodguards, airbrick covers, non return valves, waterproofing brick work, sealing cable entry points etc. We can use our extensive product range and knowledge to protect vulnerable properties in very short space of time. This can give site managers the confidence to know that specific properties are as resistant to flooding as they can be. Medium Term Solutions are, as the name suggests based around more complex answers to flooding problems that can protect whole sites. 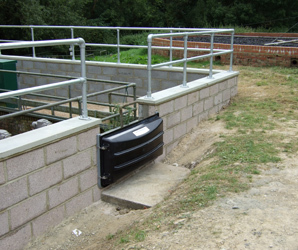 This would include the use of our BSI accredited Rapidam barrier to protect large property openings, site perimeters etc, sump and pump techniques, sustainable drainage systems (suds), compensatory schemes, porous surfacing, defensive walls, earth embankments and rain water harvesting. Details of all these solutions can be found in the pages below. Long Term Solutions, these options would include Elevating key machinery and work areas, storage systems, electrical systems and IT systems. 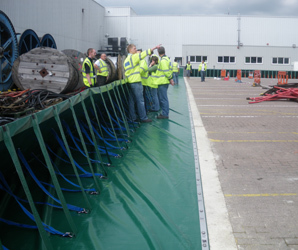 Floodguards can provide help and advice to make key areas more resilient to flooding, significantly reducing the time taken to ensure that key buildings and processes are back online. We can also discuss the other option that may be open in the most extreme event, this being re-location.